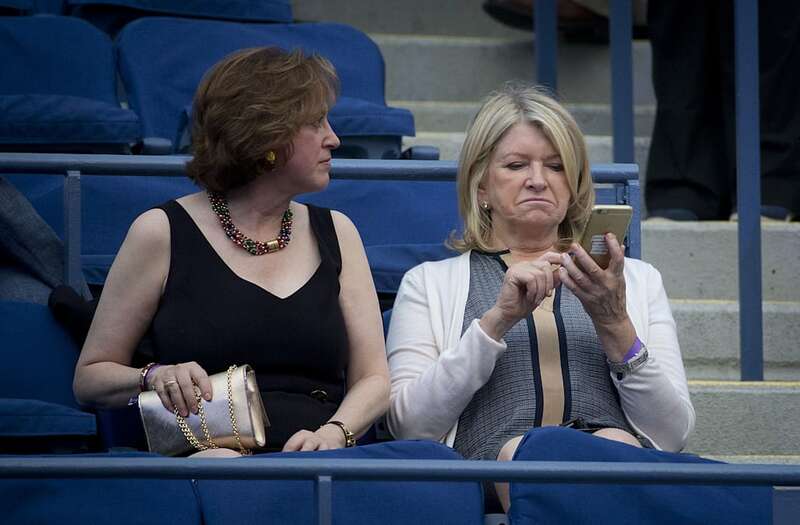 Um, did a Martha Stewart tweet ruin the Yankees' perfect game? The first rule about baseball's elusive perfect game is YOU DON'T TALK ABOUT THE PERFECT GAME UNTIL IT'S PERFECT. Here's why, as illustrated by one Martha Stewart. A "perfect game" in baseball is when a pitcher completes a full game while retiring every batter he faces — over nine innings that's 27 batters faced and 27 batters retired. It hasn't happened in Major League Baseball since 2012, and is one of most difficult accomplishments in baseball. That's why, when a pitcher is threatening to throw a perfect game — say for example, he's perfect through several innings — teammates and fans go to great lengths not to mention the masterpiece-in-progress for fear of jinxing it. Stewart, apparently, never got that memo. That's right — the Yankees' Michael Pineda was more than two-thirds of the way through hurling a perfect game on Monday when Stewart posted that tweet. Then — "about three minutes later," per USA Today's Ted Berg, who was at the game — Tampa Bay's Evan Longoria hit a double to ruin Pineda's would-be perfect day. Now, did Stewart's tweet really upset the fragile cosmic order to jinx Pineda? That would be a ridiculous notion predicated on non-scientific mumbo-jumbo. Which is to say it's entirely possible. Underestimate the power of non-scientific mumbo-jumbo at your own risk, friends. Football Soccer - FSV Mainz 05 v RB Leipzig - German Bundesliga - Opel Arena, Mainz, Germany - 5/4/17 - RB Leipzig's Willi Orban in action REUTERS/Kai Pfaffenbach DFL RULES TO LIMIT THE ONLINE USAGE DURING MATCH TIME TO 15 PICTURES PER GAME. IMAGE SEQUENCES TO SIMULATE VIDEO IS NOT ALLOWED AT ANY TIME. FOR FURTHER QUERIES PLEASE CONTACT DFL DIRECTLY AT + 49 69 650050. Football Soccer - TSG 1899 Hoffenheim v Bayern Munich - German Bundesliga - Rhein-Neckar-Arena, Sinsheim, Germany - 4/4/17 - Bayern Munich's Kingsley Coman and Hoffenheim's Andrej Kramaric in action REUTERS/Kai Pfaffenbach DFL RULES TO LIMIT THE ONLINE USAGE DURING MATCH TIME TO 15 PICTURES PER GAME. IMAGE SEQUENCES TO SIMULATE VIDEO IS NOT ALLOWED AT ANY TIME. FOR FURTHER QUERIES PLEASE CONTACT DFL DIRECTLY AT + 49 69 650050.